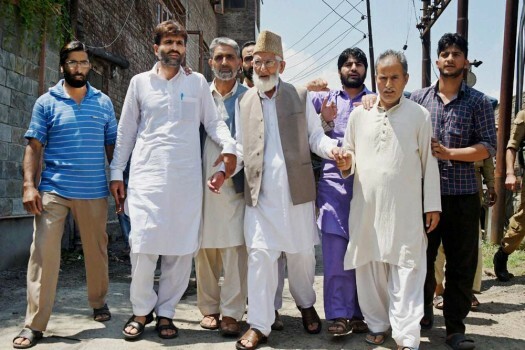 Senior separatist leader Syed Ali Shah Geelani along with supporters heading toward Jamia Masjid to participate in a programme, in Srinagar. 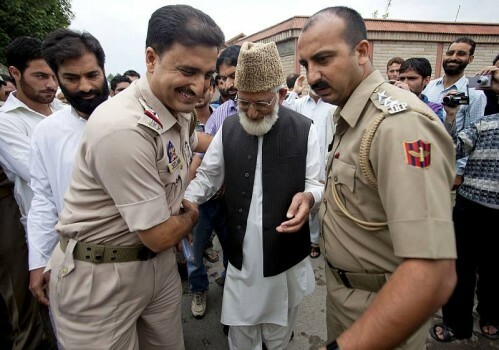 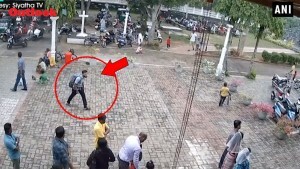 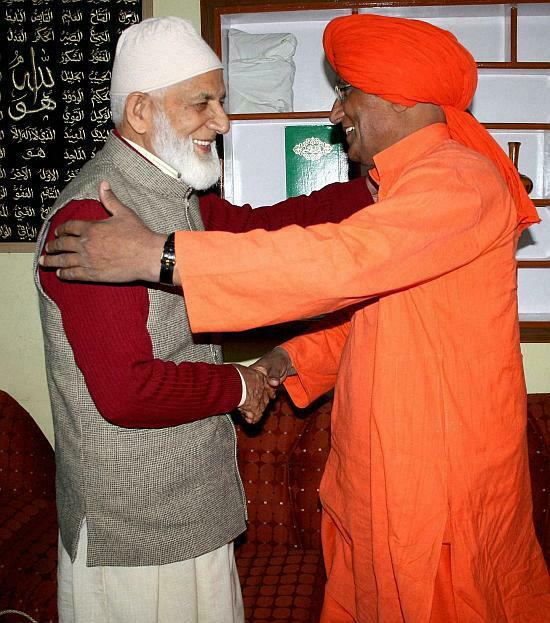 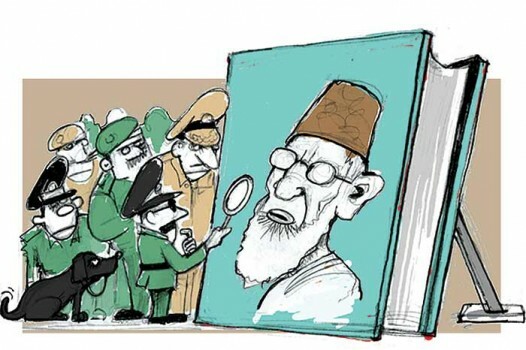 Geelani was detained by the police. 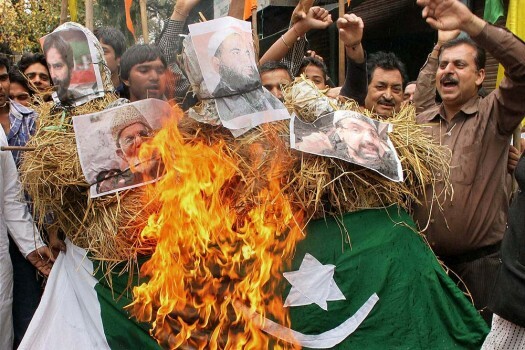 Shiv Sena and Dogra Front workers burn an effigy of Separatist leader Masarat Alam protesting against hoisting a Pakistani flag during a rally, in Jammu. 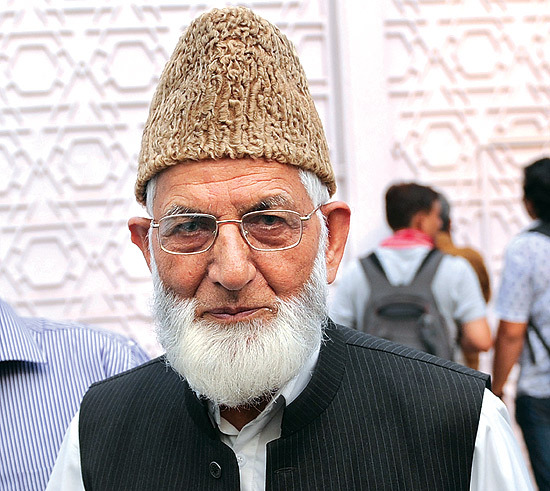 Separatist leader Syed Ali Shah Geelani arrives at the Pakistan High Commission to meet Pakistani High Commissioner Abdul Basit, in New Delhi. 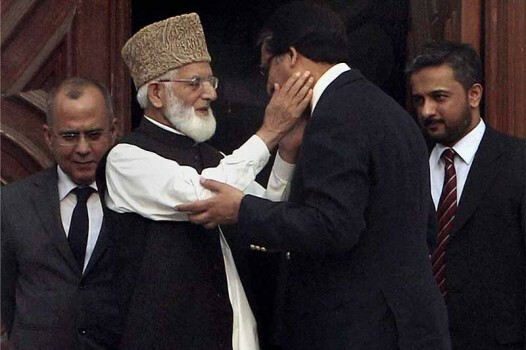 Foreign Secretary of Pakistan Jalil Abbas Jilani with Hurriyat leader Syed Ali Shah Geelani after a meeting at High Commission of Pakistan, in New Delhi. 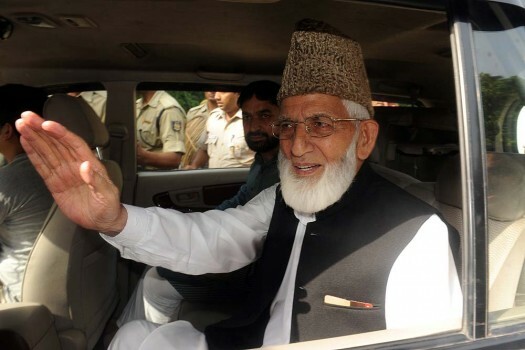 Hurriyat leader Syed Ali Shah Geelani waves to newsmen as he leaves after a meeting with Pakistani Foreign Minister Hina Rabbani Khar in New Delhi. 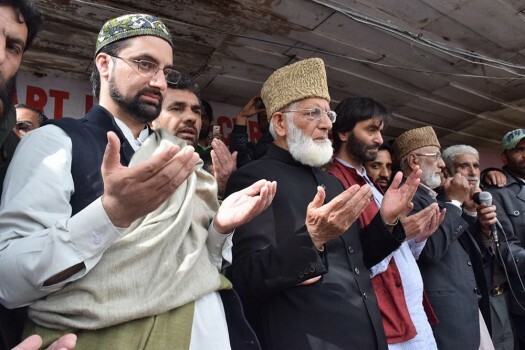 The Mirwaiz and Naseem Geelani have been asked to appear at the National Investigation Agency (NIA) headquarters in New Delhi on Monday, the agency officials said. 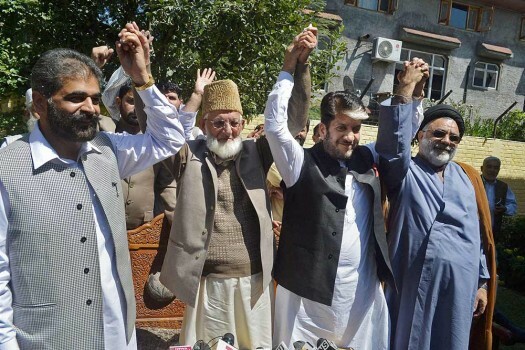 Separatist leaders Syed Ali Shah Geelani, Mirwaiz Umar Farooq and Yasin Malik in a statement said, "People and leadership of Kashmir regret every killing that happens on its soil." 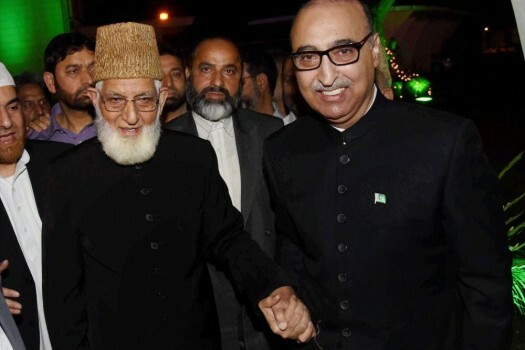 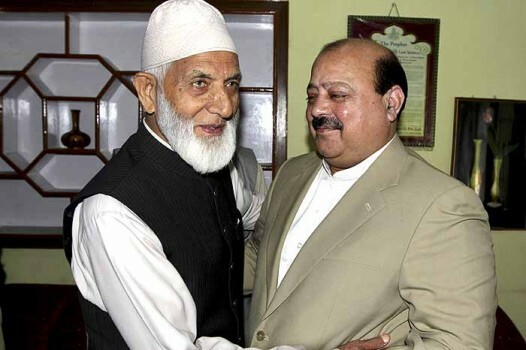 Syed Ali Shah Geelani is the second Kashmiri separatist leader that Pakistan Foreign Minister Qureshi has called in the last few days. 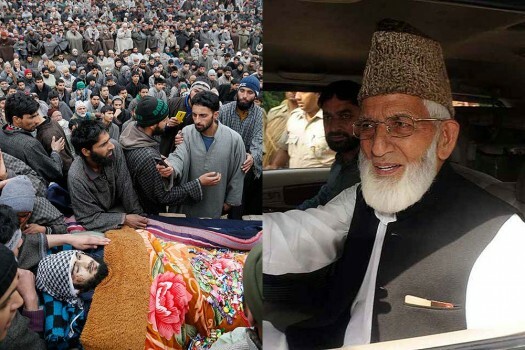 He was killed along with an associate during a gunfight with the security forces in Qaimoh area of adjoining Kulgam district. 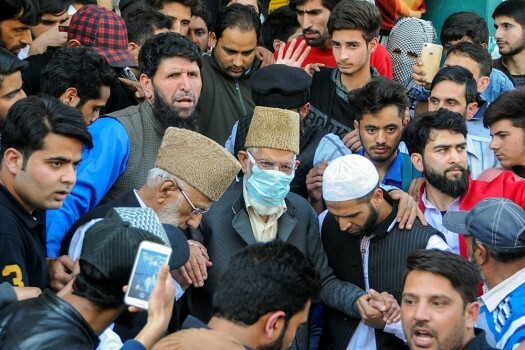 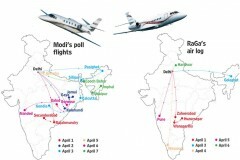 “The idea is to stop the bloodshed in Kashmir, and then they can pursue their politics and we will ours,” Naeem Akhtar, a senior PDP leader and the cabinet minister said. 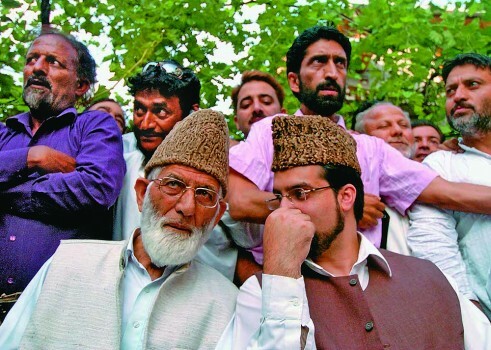 Authorities have put Mirwaiz Umar Farooq under house arrest at his Nigeen residence. 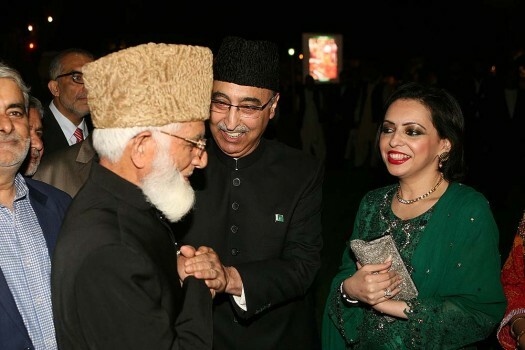 Arundhati Roy Guilty Of Sedition?